A new project hopes to provide data-driven research to state agencies as they explore new solutions to enduring social and economic problems. Rice University, through a $6.6 million dollar grant from the Laura and John Arnold Foundation, has launched the Texas Policy Lab. Antonio Merlo, dean of Rice’s School of Social Sciences, said state agencies can bring their policy initiatives for researchers to study. “Policymaking is a complex project that has very different pieces, so what the lab is going to do, they are going to come to the lab and ask us, ‘Can you help us evaluate what is the impact of the various initiatives that we have going on,’ ” Merlo said. Jason Clark, with the Texas Department of Criminal Justice, said they plan to have the Texas Policy Lab examine initiatives that aim to further reduce criminal recidivism rates in Texas. “We know that as offenders leave the system, getting them employed, getting them housing, getting them identification documents is incredibly important in making sure that they don’t return back to prison. So that’s going to be some of the areas we’re going to look at to see what we’re doing right or what we can do better,” Clark said. Al Cantu, chair of the Texas Veterans Commission, said they’d like to have the lab examine the effectiveness of veterans programs that involve state-funded non-profits the agency partners with. “Because our grants are given to those organizations … we’re not ever sure what the outcome is. I mean did (the non-profit) change the quality of life for that veteran or the family; did it improve what they needed assistance with,” Cantu said. 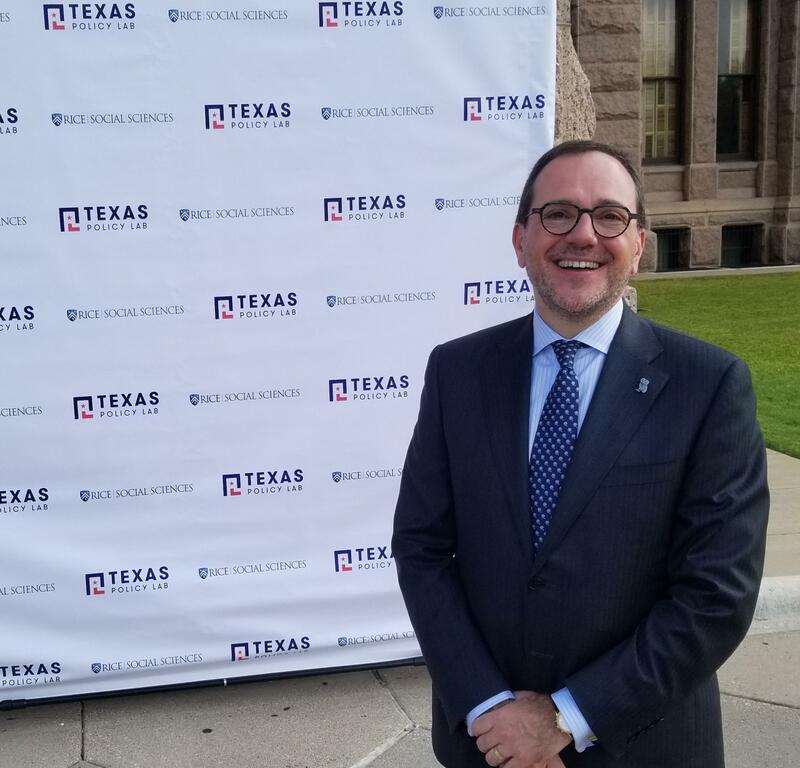 Officials with the Texas Policy Lab said rather than universities studying a particular issue and taking their research and data to state agencies, this new model will focus on real-world issues the agencies have already prioritized.